SOUTHBRIDGE — “Man’s best friend” is a common phrase for a domestic dog, one that we all know well. 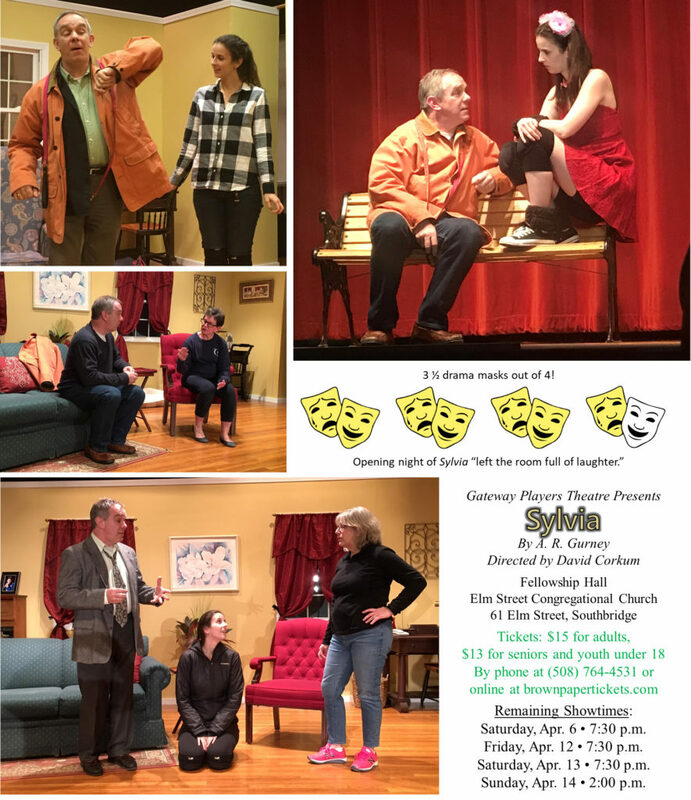 Gateway Players Theatre’s opening night of “Sylvia” by A.R. Gurney, currently playing at the Elm Street Congregational Church, 61 Elm Street, Southbridge, left the room full of laughter. This comedic story shows us not only the love a human can have towards their dog but also the unconditional love and devotion a dog can have towards their human. This love comedy takes place in modern-day New York City when Greg (Billy Bolster) decides to bring home a stray dog he finds in the park, a lovely poodle mix named Sylvia (Nika Tomasic). Greg’s wife Kate (Joan Stewart) is less than thrilled with the idea but decides to compromise and give it a trial run. With all of Greg’s attention now focused on Sylvia’s needs, Kate starts to feel resentful towards their new four-legged family member. Sylvia, who starts off as a wedge in their marriage, ends up becoming the glue that keeps it together. Other cast members include Luis Aviles as Tom, who Greg and Sylvia meet at the park; family friend Phyllis, played by Teresa Simpson; and the family psychiatrist, played by Barb Lammert. Major kudos goes to the teamwork of director David Corkum and producer Bill Guy for putting on such an entertaining and very heartfelt production. It’s truly wonderful to see how such a small cast can put on such a powerful show. Like I tend to do with all of the Gateway shows, I go in knowing as little as I can so I have a clear mind. The little that I knew was that it was about a dog named Sylvia. I was at first a little confused thinking how on Earth they were going to get a dog on stage to act. Come to find out it was a human playing Sylvia. Tomasic’s energy on stage was absolutely perfect for the part, she truly did a great job bring Sylvia to life. The chemistry that she and Bolster portrayed was spot on for that of a man and his dog. The Gateway Players did a phenomenal job bringing “Sylvia” to the stage. They reminded us all of the unconditional love between a human and a pet. If you’re looking for a feel good show with lots of laughs then I would highly recommend you go see “Sylvia”. 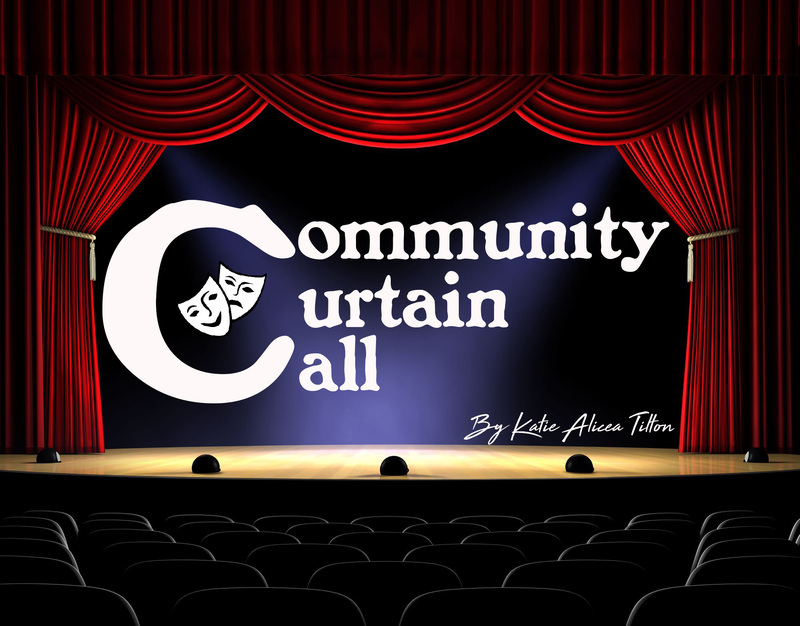 Their remaining shows are April 6, 12 and 13 at 7:30 p.m., and April 14 at 2 p.m.